The most recent update to the Austin Distance Challenge was posted this week. The distance challenge is the 5-race series that I have been competing in that will culminate with the Austin Marathon on February 20, 2011. The further I progress in the race series, the more I am starting to appreciate how helpful it has been in preparing me for Austin. For first time Marathoners, this series is tremendous. I would strongly recommend it to any local runner of any ability level wanting to run Austin. The race distances are challenging with a 10K in October, a hilly 10-Miler in November, a hilly half-marathon in December, another half marathon at the end of January featuring a fast downhill course and of course the Austin Marathon on February 20th. Each race and distance poses a different challenge for the participants. 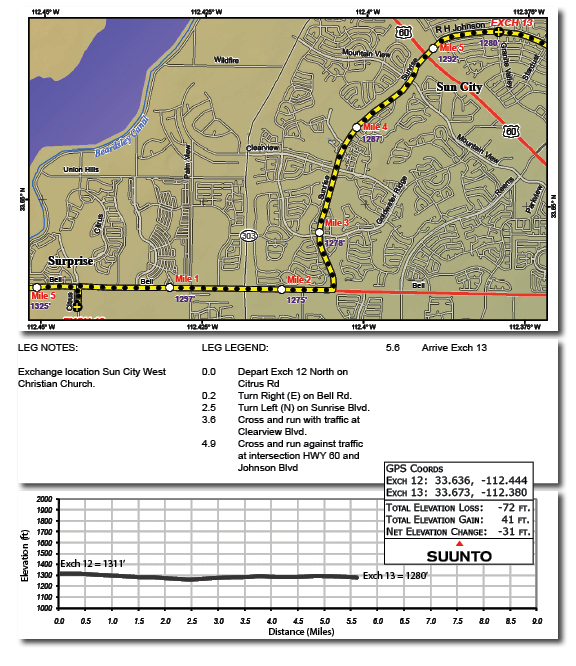 The IBM Uptown Classic is a first-class 10 Kilometer race on a speedy course. 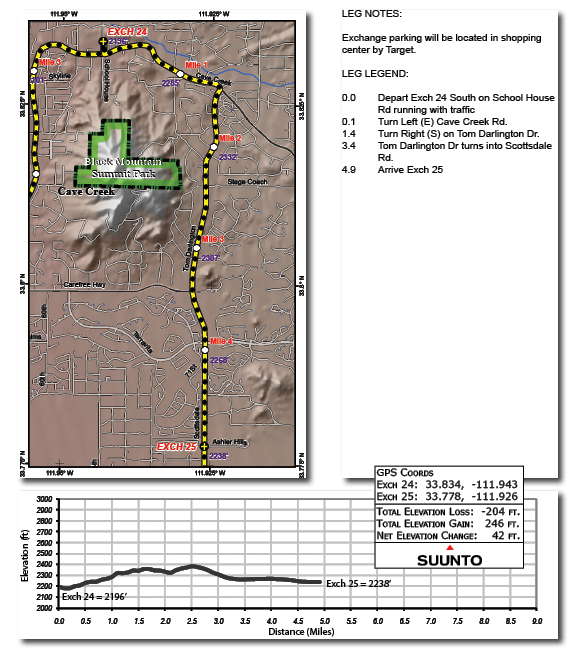 There are some hills thrown in over the last half of the race to test the runners, where learning about pacing and racing is important to run a good time. 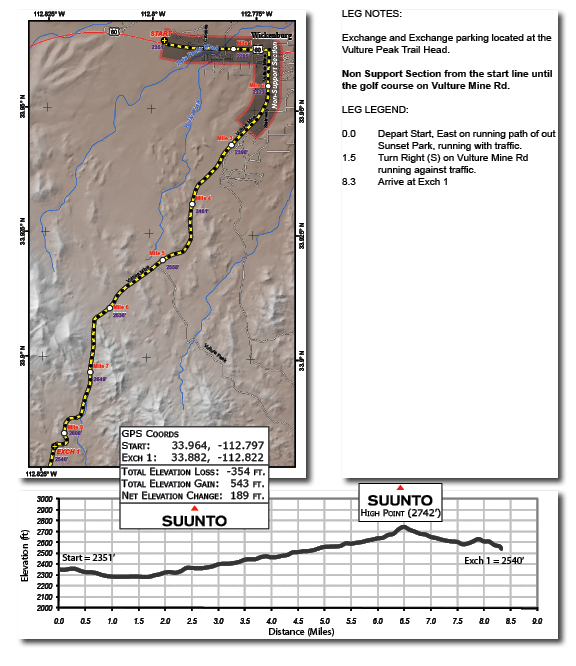 The Run for the Water 10-mile race was one of the more difficult race courses I have ever run. Climb after climb the runners test their strength and climbing skills while still “racing” over the 10-mile distance. Longer than a 10K to really let it all hang out, but shorter than the half-marathon, where runners could really put the hammer down to test their fitness level. I loved this race. 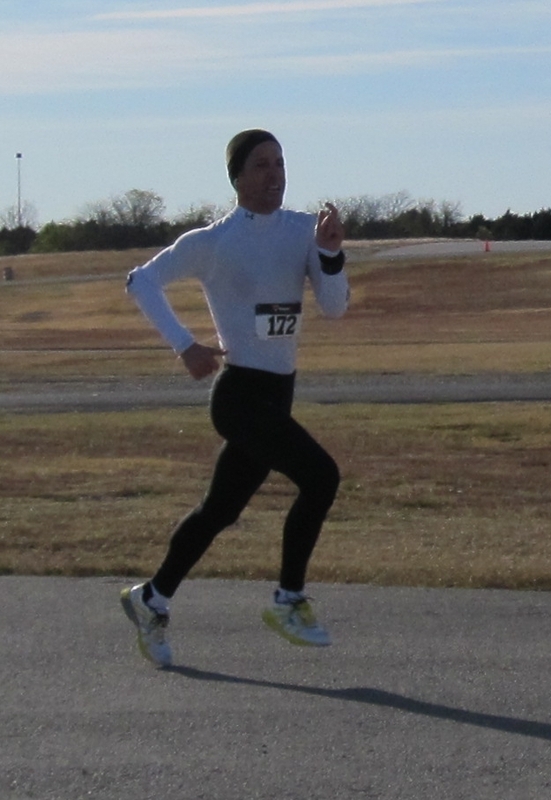 Race number three was the Decker Challenge Half-Marathon on December 12th. In its 32nd running, this race was absolutely as advertised – as one of the most difficult half-marathon courses in Texas. Hilly, windy, cold – Decker had a little bit of everything and really prepared runners for what the middle miles of the Austin Marathon will be like. All throughout the series for runners who are new to racing, the Distance Challenge provides valuable lessons are to be learned. What a large “race day” experience is like. How to handle water stops. How to dress appropriately for the weather on race day. What it feels like to run at 10K pace, half-marathon pace. Even what it feels like to struggle over the final miles of a hilly course. 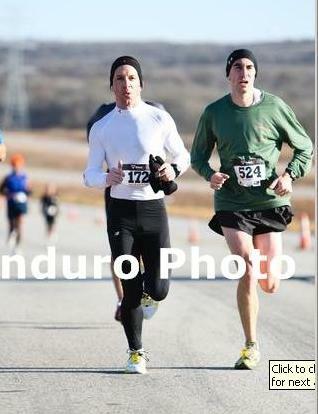 All great practice for the Austin Marathon in February. All participants in the Austin Distance Challenge are required to register for, race in and complete all five events. If you miss one event, you are out of the challenge. Again, a great lesson in stick-to-it-ive-ness and perseverance. Every runner who completes all five events receives an Austin Distance Challenge Jacket and are eligible for overall as well as age-group awards, similar to what you would find at a single running event or race day. After three races I feel pretty good about where we are right now. Seventh Place overall in the Male Standings, 2nd in the Male 40-44 Age Group. As much as I would like to place in the top 10 at the end of the challenge or even take home an age group award, I am much more excited about “how I have raced” than the results from those races. At IBM we were able to chase down a goal set during the hot Austin summer of running a sub 40:00 minute 10K time earning my spot in the elite amateur corral at this Spring’s Cooper River Bridge Run in Charleston, SC. At Run for the water, I was able to really test myself in the hills of West Austin and start believing that I was in fact ready for Decker. At the Decker Half-Marathon I again surpassed my expectations by running a sub 1:27:00 half-marathon on a tough, tough course. That effort earned me a guaranteed spot in the 2011 New York City Marathon which I will be able to run with my good friends Winston and Bob in November. That will also by Landry’s first ever trip to NYC, and an opportunity for my then 15 month old daughter to see a real-live Broadway show. Next up on January 30th will be the 3M Half-Marathon my final run before entering the 3-week taper period leading up to race day. 3M is a course where a smokin’ fast time is very possible if I am able to stay healthy over the next month. Something sub 1:25:00 is certainly “possible” given the right conditions and a little bit of race day magic. We’re going to keep pushing to see if we can hold on to that number two spot in the rankings above, but I’m sure Michael Andre’ Ford is looking at the same standings I am looking to chase me down. 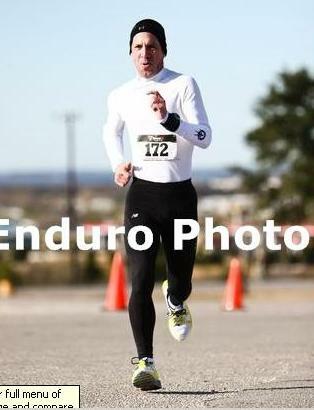 As for Brendon Cohoon, a 2:59:00 runner at last year’s Austin Marathon, congratulations Sir! You are simply crushing out there right now, I look forward to raising a glass to you at the post race Austin Distance Challenge party. Just some tremendous running you are doing out there – you give this aging Marathoner something to shoot for down the road. Monday night I was sitting around after dinner, still resting the legs after Sunday’s 21 mile long run and my mind was starting to look forward to my run on Tuesday morning. This part of the marathon cycle is the one that I enjoy the most. Alternating weeks of hard work and relatively “easy” work. Hal Higdon refers to those easy weeks as “Step-Back Weeks”, where instead of constantly increasing the mileage and intensity of your workouts up until the marathon taper begins 3 weeks before race day, you begin to “step back” your weekly mileage to allow your body time to recover. The principle is the same with most types of adaptive exercise, whether that is distance running, weight lifting or swimming. You must give your muscles time to “repair themselves” and adapt to the increase in activity. This is how your muscles respond positively to the increase in your training and grow stronger. Without these “step-back weeks” as Hal calls them, all you are doing is breaking down your muscles and not allowing them the time to grow stronger. This results in burn-out or even more commonly, injury. Those 42.8 mile weeks still look like a lot of running, and they are. But my long runs on Sundays each of those weeks will only reach 12 miles or an hour and a half or so medium effort. That takes about 60 minutes from my long-run workouts on the other weeks, and allows my legs, feet, hips, ankles and even core to enjoy the decreased effort and rebuild strength to push harder the following week. 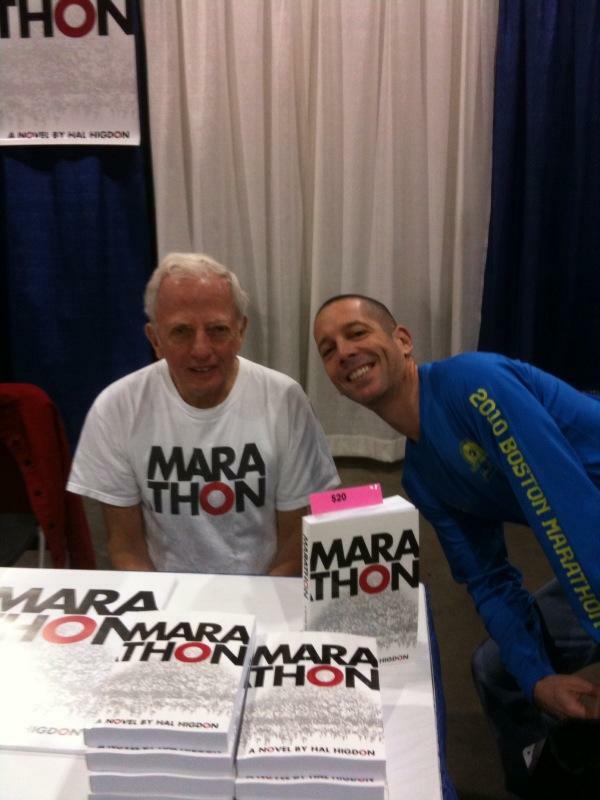 Hal Higdon, now in his 70’s has run well over 100 marathons and has “virtually coached” hundreds of thousands of marathoners across finish lines around the world. 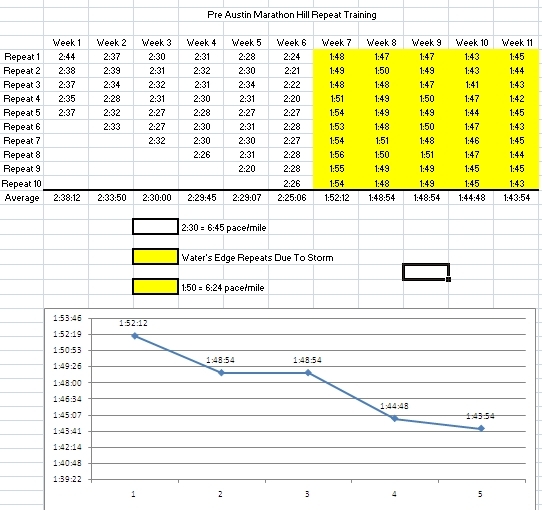 Over the last couple of years I have developed my own training plans for the marathon. Plans that incorporate more tempo work, more racing and especially more hill work than Hal typically recommends. But the one area that I have stayed true to Hal’s plan is with respect to rest days and step-back weeks. I know that his philosophy on those very important aspects of marathon training are spot-on when it comes to getting this marathoner to the starting line not only trained to race my best, but also 100% healthy. 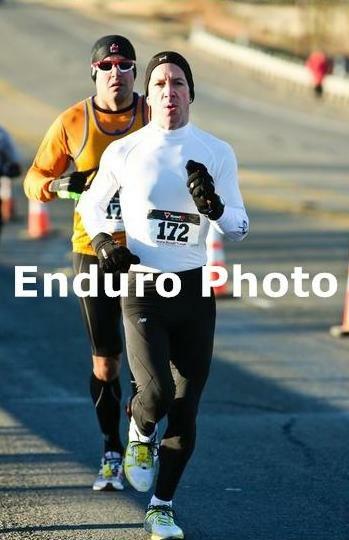 There will be no race day magic on February 20, 2011 if I show up to the starting line nicked up or injured. Unable to give my very, very best. The thing I really look forward to the most during “step-back week” is the fact that I can go out there and have a little FUN on my runs. If my legs feel great, I can go fast. If they are tired, I can just cruise. If I want to take the hilly route, go for it. If it seems like it would be fun to run a new route or try out a new section of the trail system, no problem. When training for a race for 18 or 20 weeks, with 97 runs scheduled, I’m sure you can imagine there are days when it becomes tedious. It doesn’t say Tempo, Recovery, Race Pace, Progressive, Easy, Medium or Hard. Just 6.2 – anyway I want. Tuesday of step-back week is one of those days. So as I left the house to just “go for a run”, I looked at the flag above my head while I was stretching against the garage. Very, very light wind, perhaps 4 mph. There was a mist hanging in the air. The temperature was 49 degrees. Pretty much perfect weather for a little fun. A lot of runners do not like running in the rain, I actually enjoy it. Now storms with huge wind and debris? Not so much. But gently falling rain to keep you cool on a trail that was frozen on Sunday is just about perfect. Soft underfoot, but no puddles or ruts to navigate. I decided that I was going to break my run up into several “different” runs. A mile at recovery pace, a couple of miles where I was just cruising, a couple of miles around 7:00 min./mile and a “hard” mile to close out the run. Runners are familiar with a Swedish term Fartlek – which translates to speed play. The thought behind this workout is that the runner varies their pace and intensity to test both their aerobic and anaerobic systems. It is a great workout, and as the name suggests, for me it is very, very “Fun”. I took off on my typical 6.2 mile route, one that I run 2 or 3 times a week 50 weeks or so a year. I have run this route hundreds and hundreds of times, but on Tuesday it was entirely new. I ticked off the first “recovery” mile at 7:35 pace. Mile number two was a “cruising” mile at 7:12. Mile three was another “cruising” mile, but we were climbing up over the dam – 7:17. Mile four was the first of two “7:00’s” I wanted to run. 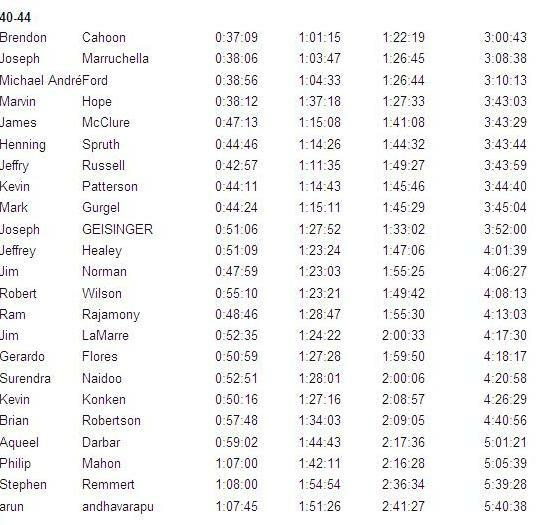 A pace that is what I would need to lock in if I was to try to chase a sub-3:00 Marathon at Austin. Frankly, this is a pace I think is still a bit too ambitious at this point in my maturation as a marathoner, but nonetheless, a great goal to have out there to chase. Time to head for home and I ramped up the pace, wanting to run in a “fast” mile. I hit the street lamp on Along Creek Cove with just a steep hill and 2/10 of a mile to go. I hit the hill like I would one of our hill repeats on Thursday and kicked home to the house with a final .20 miles at 6:10 pace. 6.2 miles, 43 min. 56 sec., 7:05 min./mile pace. But that is what made Tuesday’s run so much fun. Looks can be deceiving sometimes as our 7:05 min./mile run had a little bit of everything. So another block gets crossed off of my marathon training schedule and we are one run closer to the starting line at Austin. But more than anything this morning made me very grateful. Not too many people have the opportunity that I do. Because I have my health, a loving and supportive wife, the drive and desire to achieve and tremendous motivation to continue to Run for Dom. I’m smart enough to realize all of that, yet still naive and idealistic enough to think that perhaps something magical can happen on February 20th if I want it bad enough and work hard for it. If I happen to fall short on race day? Well, we’ll deal with that when and if it comes to pass. But runs like today’s will help soften the blow of any disappointment because bottom line. 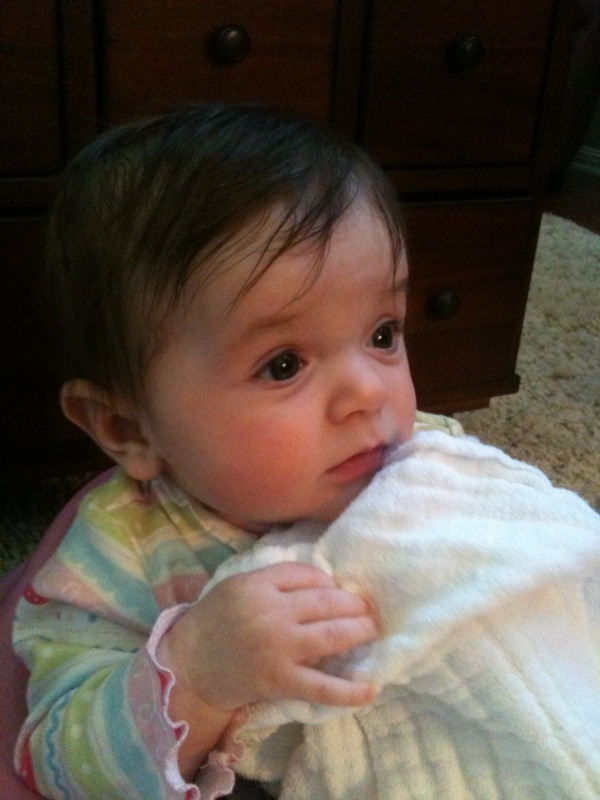 Lots of good stuff this Christmas being able to be home with Dawn, Landry and Kayla for Land’s first Christmas. At only 4 months old Landry really doesn’t quite “get it” yet with respect to what Christmas is all about – but it was a weekend of firsts for Landry – and they were some pretty good ones. 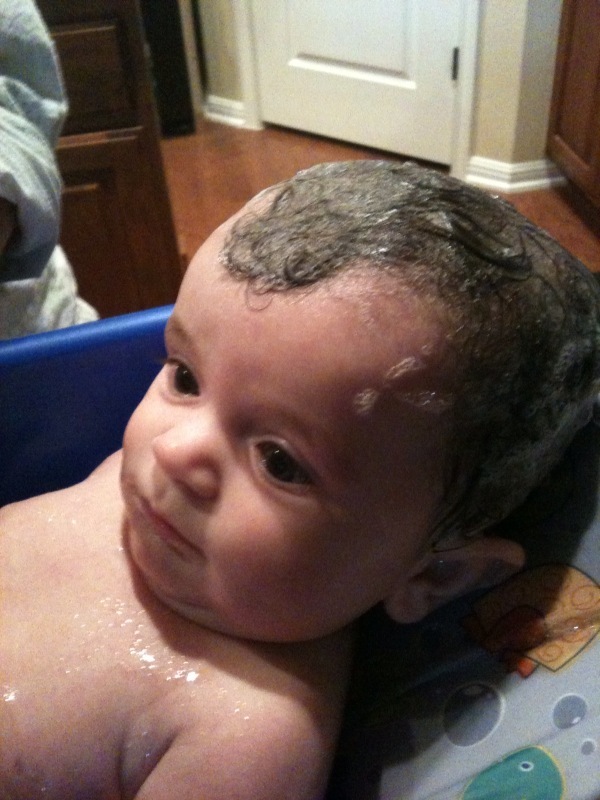 Landry's Bath before going to see Santa! First Christmas eve service, first Christmas Tree, first time on Santa’s lap, first time opening presents – even though she pretty much slept through all of that. 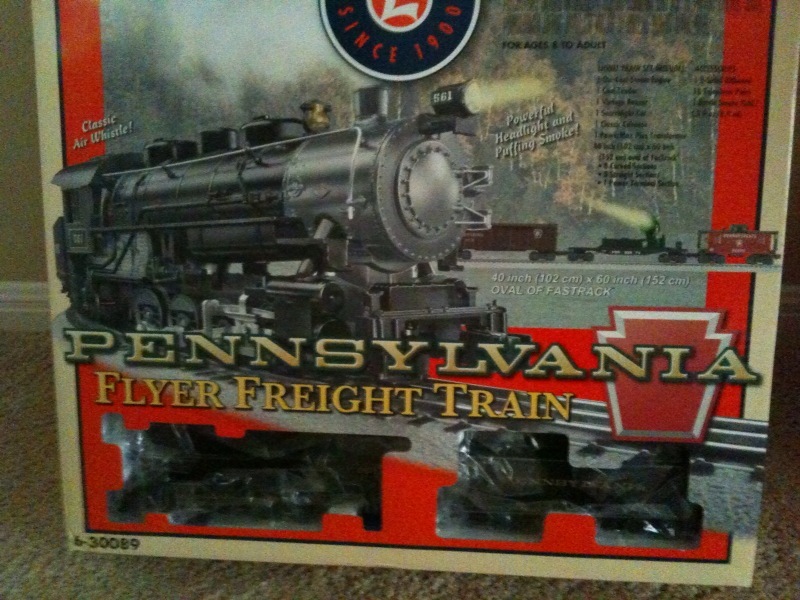 Super-Mom Dawn put a great gift under the tree this year for Landry and I to share over the years as we got a Pennsylvania Flyer Train Set! I can only imagine how much fun Landry and I are going to have building our tracks, towns, hills and tunnels over the years every Christmas. As much as Dawn and I love this time of year, decorating the house, Christmas Tree(s) X2, and putting up lights – having Landry has made this year extra special. Amid all of the happy times this year, I would be lying if I didn’t say that there was some sadness as well. I found myself thinking about Landry’s Godfather Keith celebrating Christmas with his boys Garris and Fuller in Charleston, the first since their Mom died in August. An accident that when I think about it months later, I still struggle to make any sense of it. Of course in Pittsburgh, Sierra, Nico and Val were celebrating their first of many Christmas’ without Dom. Just one year ago Dawn and I were at Dom’s Mother and Father’s house enjoying Christmas Eve dinner with the D’Eramo family. Dom’s passing after his battle with cancer is still very raw for me. Losing their Father as a 4 year-old little girl and a 1 ½ year old boy, is in a word – unfair. I thought a lot about Dom this weekend as I was pressing on through some challenging training runs. The Marathon waits for no one. 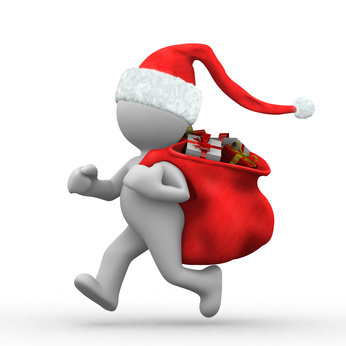 Racing well on February 20th required a big effort this weekend Christmas or no Christmas. With a 10-mile run on the schedule Christmas morning and a 20-miler on Sunday, I wanted to be sure to get my workouts in, but not miss out on any of the “good stuff”. I set the alarm for 4:45 a.m. on Saturday to get out the door and onto the Brushy Creek Trail to knock out my Marathon Pace run and return to the house long before Landry would wake up for her first Christmas. With fresh legs and a spring in my step I was able to knock out Saturday’s 10-miler in 1:09:05 – 6:54 pace. I pushed hard over the hilly course posting all but one mile under 7:00 min./mile pace. After a quick shower and a great breakfast of French Toast and Bacon it was time for presents with Dawn. You know that you’re a runner when your favorite gifts are things like Runderwear, Under Armour Cold Gear Tights and Mock Turtle Neck and a pair of Brooks Green Silence Running shoes. Of course the train set was my favorite surprise gift under the tree. After a relaxing Christmas Day, although Landry tested Pappa Bear and Momma Bear as she decided that she would like to party like a rock star all day and not take a single nap throughout the day, it was time for a dinner of pasta, salad and bread to load up for Sunday’s long run. Me? Nap? No thanks, it's Christmas! 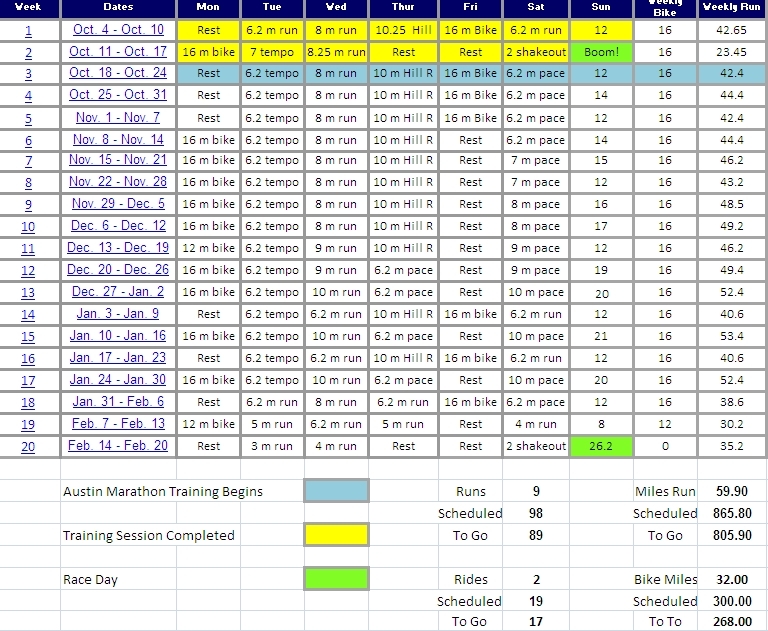 The “back to back” 10/20 mile runs are the bread and butter of the marathon training plan in my opinion. It is not only logging a 20-mile run that prepares the runner for the test of the marathon, but the cumulative effect of all of the training. Being able to run a tough 10-miler on Saturday, followed by another 20 miles 24 hours later is what builds the stamina and endurance necessary to push hard over the final 10 kilometers (6.2 miles) on race day. Better still, being able to run a second 20-miler just 7 days after last Sunday’s 20 mile run, further prepares this marathoner for race day. As I left the house it was 27 degrees. I was in my new Under Armour Cold Gear, My Asics Running Jacket, one pair of running gloves inside a pair of running mittens. Cold weather hat, two water bottles and we were ready to rock. The last piece of “gear” I put on before leaving the house was a new Nathan Lighted LED vest. I picked up the vest for the overnight legs of the Ragnar Del Sol relay through the Arizona desert, but thought it’s high visibility yellow and Red Light would help any cars see me at 5:00 a.m. as we made our way up the hill out of the neighborhood. After warming up a bit over the first two miles I locked in to my pace right around 7:18 min./mile. The miles ticked by pretty quickly as my body adjusted to the outside temperatures. As I passed the house at mile 12 I decided that it would be a good morning to “tack one on” as I thought about Dom and his family. When you’re running 20 miles before sunup, why not 21? After making the turn back towards home through the bottom loop of Brush Creek Trail I had one more mile to go. My legs were starting to feel the run a bit, but I was still able to hold a solid pace climbing up the final hill. Total run time was 2:33:32 – 7:18 pace overall. Projected over 26.2 miles we would be on track for a 3:11:24 marathon. Pretty solid effort after Saturday’s 10-miler and back to back 50+ mile running weeks. With two more 20 mile runs on the training schedule to further build our base, as well as a 3-week marathon taper to rest our legs, we very well might be on target to drop another :10/mile off of the pace we posted on Sunday. That would bring us to the Austin finish line with a marathon time of 3:07 and change, more than a 10 minute PR over our previous best time posted at the 2009 Pittsburgh Marathon. A lot of things will have to happen to make that time a reality as there is nothing that you can consider a “given” when it comes to the Marathon. 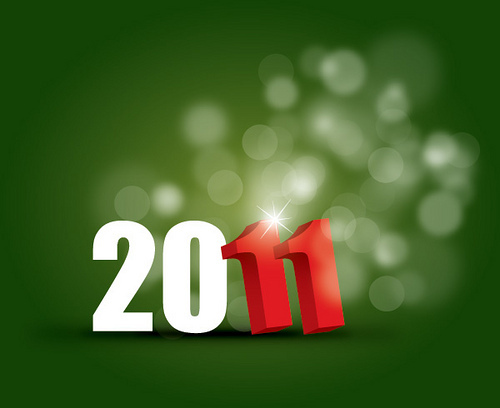 But as of December 26, 2010 – things are looking pretty good. Dom, it was your kind of weather out there this morning. Steeler playoff weather. Thanks for providing the push to tack on that extra mile. That was the way you lived, always going out of your way for your family and friends, always doing just a little bit more to make a difference.